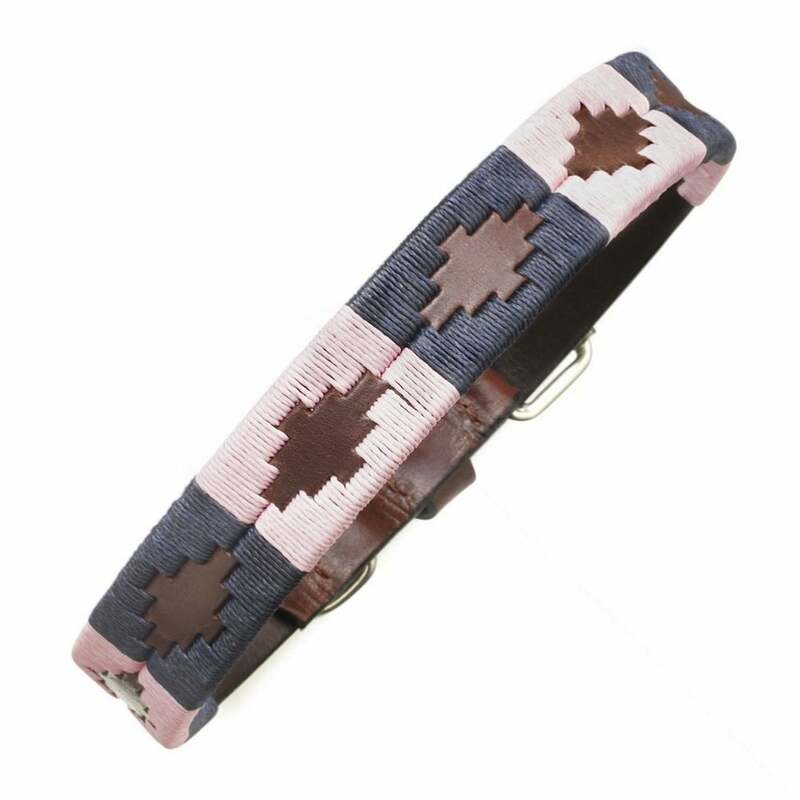 The Pampeano Hermoso Dog Collar ia one of our most popular designs, consisting of contrasting pink and navy threads. This stylish collar will ensure your dog looks the part no matter what the occasion, and looks great on a huge range of different breeds. Hermoso means handsome/beautiful which we think is very fitting for our four legged friends! This Hermoso dog collar is the perfect treat for your pet and to complete the look, Pampeano also has a matching dog lead available with the same hand-stitched pink and navy design and made from the same premium quality Argentinian leather. You may also recognise the Hermoso dog collar design from the well known and much loved Pampeano polo belts. The Aztec pampa patterns have been hand-weaved, line by line, by skilled artisans in Argentina. It can take them up to five hours to hand-stitch and it’s a traditional skill that has been passed down their families for generations.